… not simply knowing things. It’s about learning NEW things by overcoming obstacles and proving to yourself and others that you can do it . And there is nothing more important to long term educational success than a strong foundation of basic skills in math and language arts. 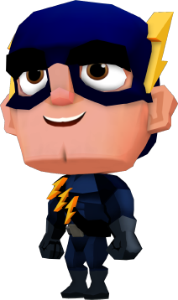 Kid Awesome leverages the power of determination, challenge and enjoyment to deliver power for the mind. How do we do this? The Kid Awesome team, all parents of grade-school kids, know first-hand the struggle when seeking educational products that engage at the level of media and games. We believe there doesn’t need to be a compromise. By combining best practice content design, visuals equal or better than popular games or educational products, and original inspiring music, we create deep engagement that keeps kids coming back to the app. Kid Awesome is a group of designers, educators and technology veterans committed to combining high quality content and play with essential skills to deliver fun, educational and safe apps. Our mission is to develop children’s confidence and reinforce critical building blocks for a lifetime of successful learning. How do we develop our curriculum? Working with an educational specialist, we deliver incredibly comprehensive content that covers 17 foundational skills and over 80 levels per subject! It is crafted to assure that kids master vital areas before being challenged with more advanced material. Our apps are designed with the help of teachers and are a powerful tool to enable kids to retain these very critical skills and demonstrate competence with them. We couldn't make Kid Awesome apps without their help. No matter what technology kids have, teachers are irreplaceable. You never have to wonder if this product is for your child. Kid Awesome products are grade-based, so you know which product is exactly right for them. Because of the comprehensiveness of the content, kids can use it when getting ready for a new grade, while in the middle of the grade, or towards the end when test time is coming up! Further, the Progress Tracker shows exactly which skills the child is working on and how they are progressing. No more guessing whether the product has the right content for your child. The game gradually scaffolds lessons and moves kids through the content as they demonstrate they are ready. The content starts at pre-grade level and steps children through grade proficiency and mastery. Of course, your kid may already be more advanced, or need more work on a specific skill. 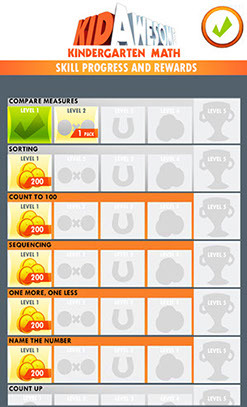 The apps assess level upon start and allow for easy replaying of any content that is currently or previously unlocked. What is the greatest power again? There is nothing better in a game or in life than finding a special power that allows you to overcome obstacles and succeed. Our goal is for kids to find that power in learning. What if they won’t put it down? We love fun, but also know how difficult it is when our kids can’t put something down! Kid Awesome apps are designed to be playable in short bursts. Enjoy for 5 minutes or 25 minutes, at home or on the go. The apps are easily paused and your child can return at any time. We want the best experience for your kids, just like we want for ours. That’s why we’ve made Kid Awesome apps without advertisements and fully COPPA compliant. Our pricing, extent of content and attention to design is packaged together to deliver truly great value. We know this product is for your most valuable treasure in the world. 20 years experience as a creative director, game designer and artist with work on brands such as Star Wars, Ben 10, Pokémon, Batman, JumpStart, Curious George, Fisher Price and Math Blaster. He has previously worked as Director of Gaming, Cartoon Network; Creative Director, BBCW; Creative Director, Vivendi Universal/Knowledge Adventure; Creative Director, Davidson (Math Blaster). Founder of the Incubator School, an innovative Los Angeles public school; National Board Certified teacher; 12 years developing deep expertise in creating technologically-rich learning environments. Over 20 years of experience in educational and entertainment game development, including for Davidson, Knowledge Adventure, McGraw Hill, Electronic Arts, DARPA ; founder of Left Brain Games. 18 years composing theme songs, music and sound design for JumpStart, Fox, Neurosmith and many children's apps; finalist in the International Songwriting Competition for Children's Music.